At an elevation of 6,594' Ft, Mt LeConte near Gatlinburg is one of the most beautiful sights in the Great Smoky Mountains National Park. 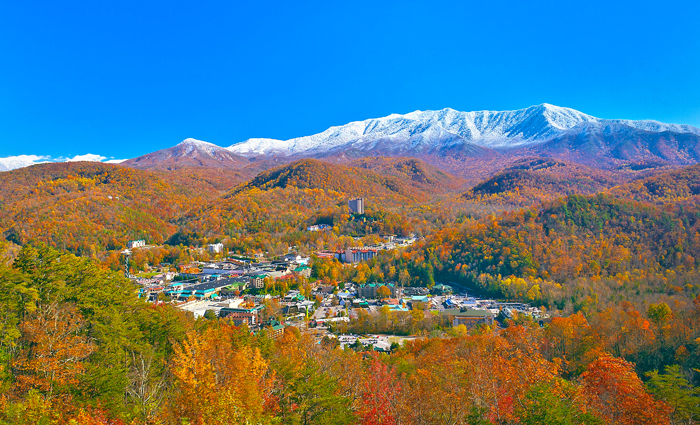 Since LeConte is the 3rd tallest peak in the Smoky Mountains, this impressive mountain offers panoramic views and incredible high elevation scenery. Though many vacationers would like to rent a cabin on Mount LeConte, this is not possible for many visitors, since there are no cabin rentals inside the national park. Visitors have the option to stay at LeConte Lodge on Mt. LeConte, but there are no roads to the summit and this high elevation lodge is only accessible by hiking trails. Unless you'd like to make the arduous 5-mile journey up Alum Cave Trail, your best option would be to find a cabin close to Mt. LeConte or to book a cabin with views of this stunning mountain peak. To help you get the most out of your vacation to the Smokies, we've made this guide on where to find cabins near Mt. LeConte and find cabins with views of this beautiful peak in the national park! Where to Find Cabins Close To LeConte? The closest town to Mt. LeConte is Gatlinburg, TN. In fact, this lovely mountain community has a nice view of this mountain's summit. If you're looking for quick access to hiking trails that go to Mt. LeConte, it's best to reserve a cabin near the Sugarlands Entrance to the Great Smoky Mountains National Park. The Sugarlands national park entrance provides quick access to Newfound Gap road and the Alum Cave Trailhead, which is the shortest route to the top of Mt. LeConte. As an added perk, many of these cabin rentals that are close to this iconic mountaintop also boast beautiful views of Mt. LeConte! Since Chalet Village is located just outside of the Smoky Mountains near the Sugarlands National Park entrance, it's hard to find cabins closer to Mt. LeConte than the rentals in Chalet Village. This premium Smoky Mountain cabin resort also provides guests with access to resort clubhouses and it keeps vacationers close to Ober Ski Mountain. 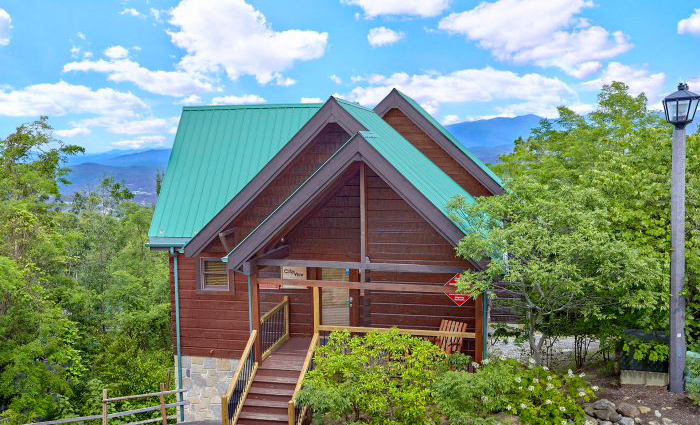 Located up above Chalet Village Resort, this premium cabin community is known for providing beautiful views of Gatlinburg and nearby Mt. LeConte. 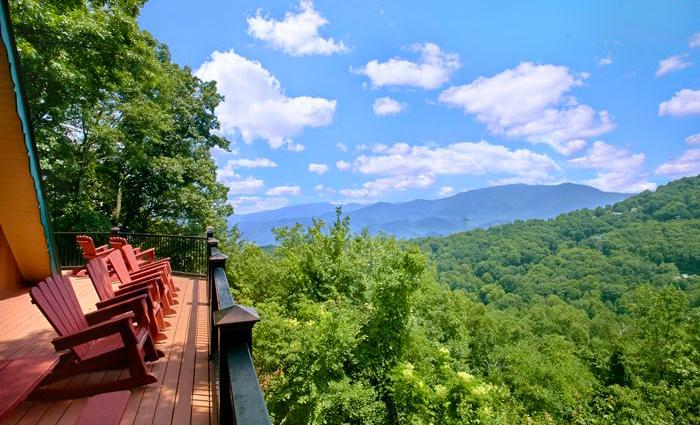 Not only does these rental's keep you close to this iconic Smoky Mountain peak, but they also ensure you can enjoy a cabin that's close to Downtown Gatlinburg. Most of the cabins in the Sky Harbor Resort area do not provide views of Mt. LeConte, but many of these rentals do provide quick access to both Gatlinburg and Pigeon Forge. 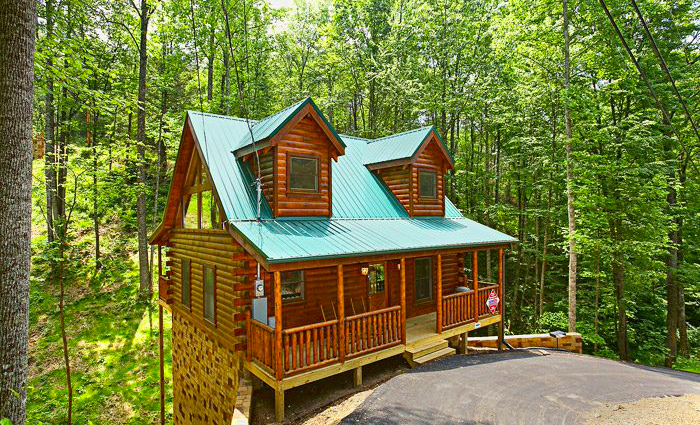 Not only is this cabin close to top local attractions like Ripley's Aquarium of the Smokies and Dollywood, but it's also less than 15 miles from the Alum Cave trailhead, so these rentals are some of the closest cabins to Mt. LeConte. Need help finding a cabin that has a beautiful view of Mt. LeConte or a cabin that's close to this beautiful peak inside the Great Smoky Mountains National Park? Feel free to contact our reservations office at (865) 436-5031. Our helpful reservations specialists will be glad to help you find the perfect cabin for your vacation in the Great Smoky Mountains!